← Do you believe NOW!!? Will the return of Carmelo slow down LIN-SANITY? What on earth possessed King James to say something as stupid, irresponsible and dumbfounded as this? 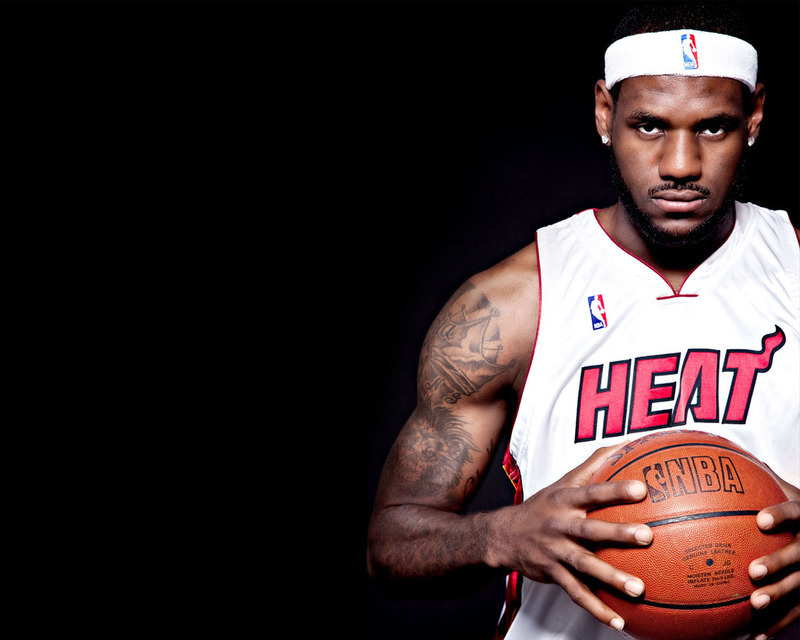 Word to the wise…..I don’t like Lebron James. Scratch that……I DESPISE Lebron James! I lost all respect for the guy when he thought it would be a good idea to go on ESPN and declare to the world that he was going to leave his home in Cleveland to play basketball in South Beach. He had every right to leave, but the way he went about it made him come off as a selfish, cocky little prick. James was asked about the chances of him rejoining the Cleveland Cavaliers by a member of the media at the end of Miami’s Thursday practice. Lebron James isn’t an idiot. He knew exactly what he was doing when he answered the question. He’s tired of being the bad guy in his home state. He want’s everyone to like him again. What better way to get on the fans good side by teasing them with a possible return 4-5 years from now. What a slap in the face that was. The last time I checked, Lebron is a member of the Miami Heat. He promised that franchise 5….6…..7 NBA championships. Why would he discuss a return to the team that drafted him when the team who signed him as yet to reap the benefits of their investment? I know he was asked a question and he answered it honestly, but there are better ways to go about it. He should have just said he plays for Miami and dropped the subject entirely. If I was a member of upper-management for Miami, I would be ticked off with his comments. Stop talking about one day returning to Cleveland and start focusing more on the task at hand. That chapter of your life is over. You are a full-fledged member of the Heat. If you choose to one day return to the Cavs, then deal with it at that time. 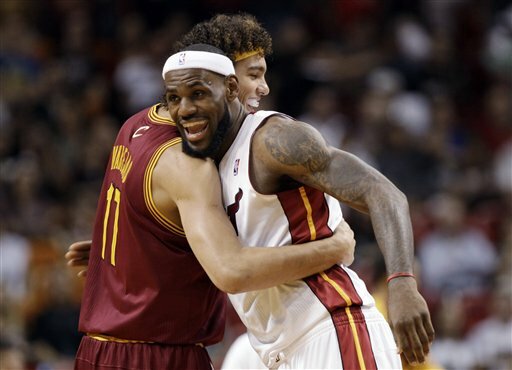 It’s probably a good idea to please the fans you have in Miami by winning championships (instead of choking) rather than trying to please the fans you scorned in Cleveland. By the way, would Cleveland fans even want him back? 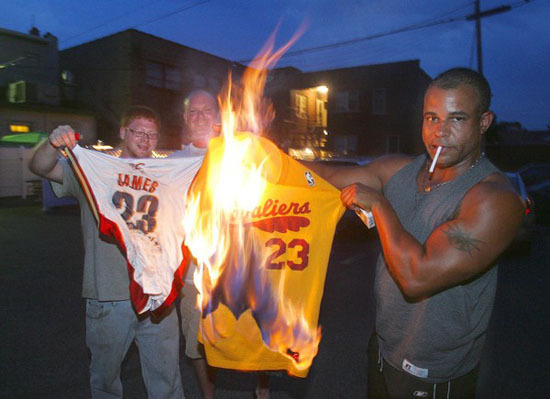 It’s not like they ceremoniously burned his jersey or anything. 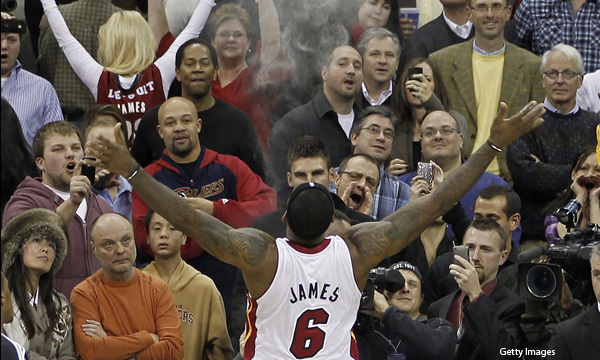 Lebron James disrespected that entire franchise and fan-base. He did his best (for the most part) during his 8-year stint with the team, but to leave everyone sitting on pins and needles awaiting his final decision, only to leave the team with no warning whatsoever has scarred them forever. The Cavs are starting to gain credibility with the arrival of number one pick Kyrie Irving, but Irving isn’t Lebron James. I’m sure some fans would welcome James back with open arms though. He is arguably the best player in basketball and would instantly make the Cavaliers a championship threat IF he were to return. You can’t deny how big a star Lebron is on the court. Do I believe he will one day be a Cavalier again? You can never be to sure with a guy like Lebron James. If the whole Miami Heat experiment doesn’t work out, he may actually consider it. He has the opportunity to opt out of his deal in the 4th/5th year of his contract, so will see how that plays out. But if he can’t win a championship on a team with Dwayne Wade and Chris Bosh, then how would one more crack at it in Cleveland be any better? Perhaps his intentions were pure. Maybe all he wanted to do was put a smile on the faces of those who he royally screwed over two years ago. He may have meant well, but making those comments was plain stupid. It may not seem like a big deal in retrospect, but this is Lebron James were talking about. Everything he says and does is put under a microscope and picked apart word by word, action by action. He needs to buy himself a filter and put it between his brain and his mouth. Don’t patronize the fans. Don’t lead them on. You can’t please everyone all of the time. It’s time to realize that your majesty. This entry was posted in NBA and tagged Akron, Basketball, Cleveland Cavaliers, Culture, Dwayne Wade, Kyrie Irving, Lebron James, Miami Heat, NBA, Ohio, Sports. Bookmark the permalink.